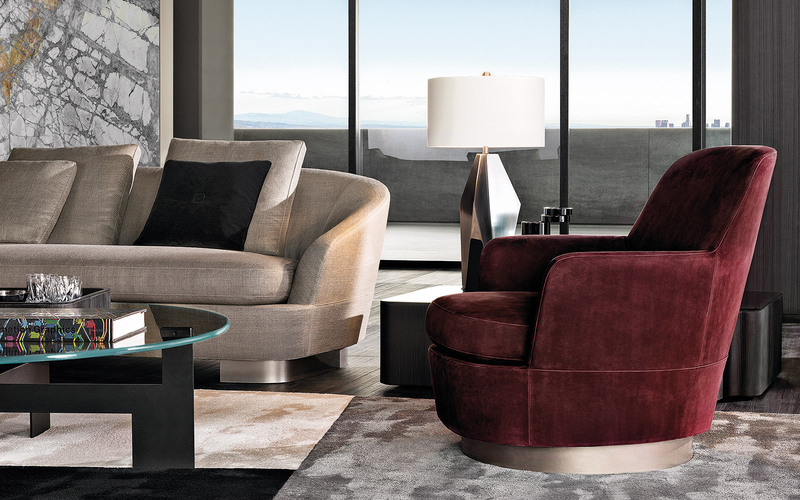 The Jacques collection includes sofas, armchairs, and ottomans available in several sizes, originated from a common design seed that transforms a vaguely retro style into a symbol of absolutely contemporary style. 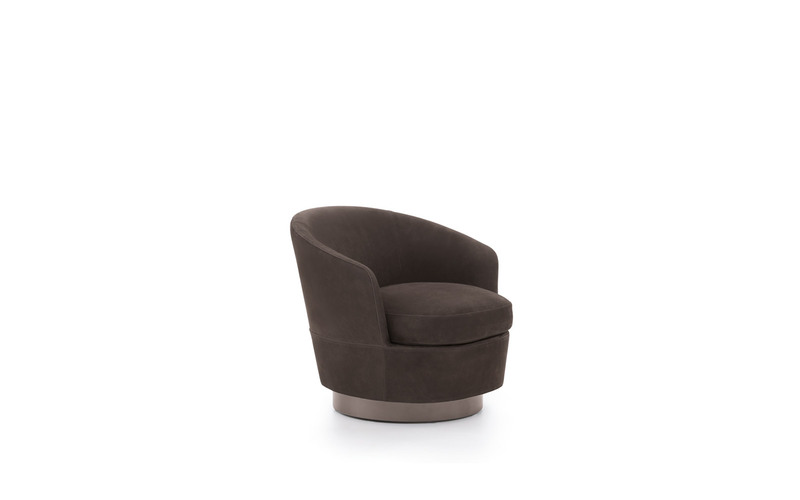 A sophisticated aesthetic language that is expressed in soft shapes, compact proportions and details with striking visual impact, like the metal base with Light Bronze finish. 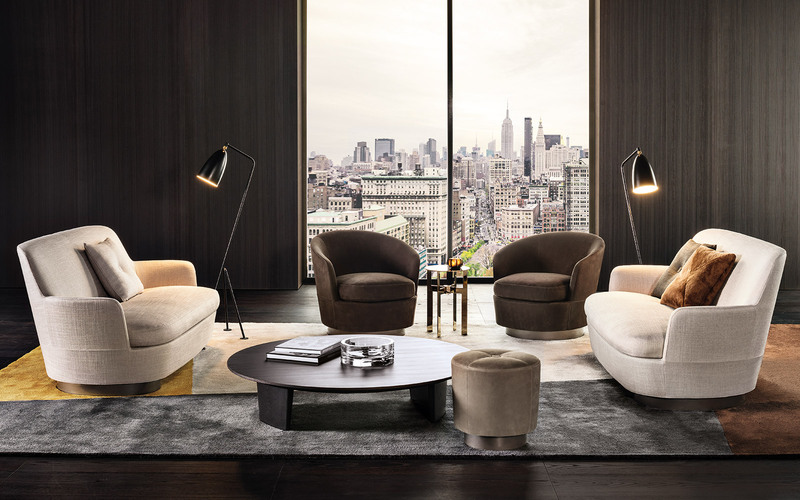 Elegant stitching emphasizes the curved silhouette of the Jacques armchairs and sofas, whose rounded shapes create a surprising contrast with the more formal, geometric outlines of the Lawrence sofa. 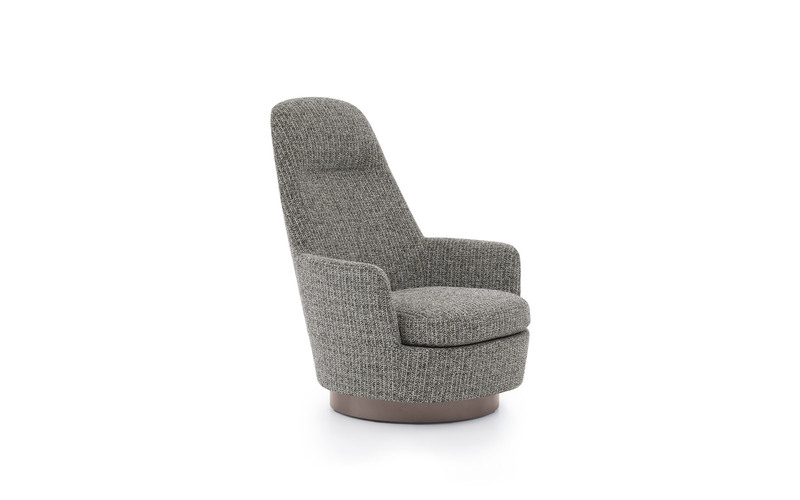 All of the seating elements share the enveloping lines that offer a pleasant sensation of welcoming warmth, thanks to the soft cushioning in the seats and backrests. Structural perfection and flawless tailoring underscore the high level of expertise achieved by the company over the years and are the consummate expression of its masterful craftsmanship. 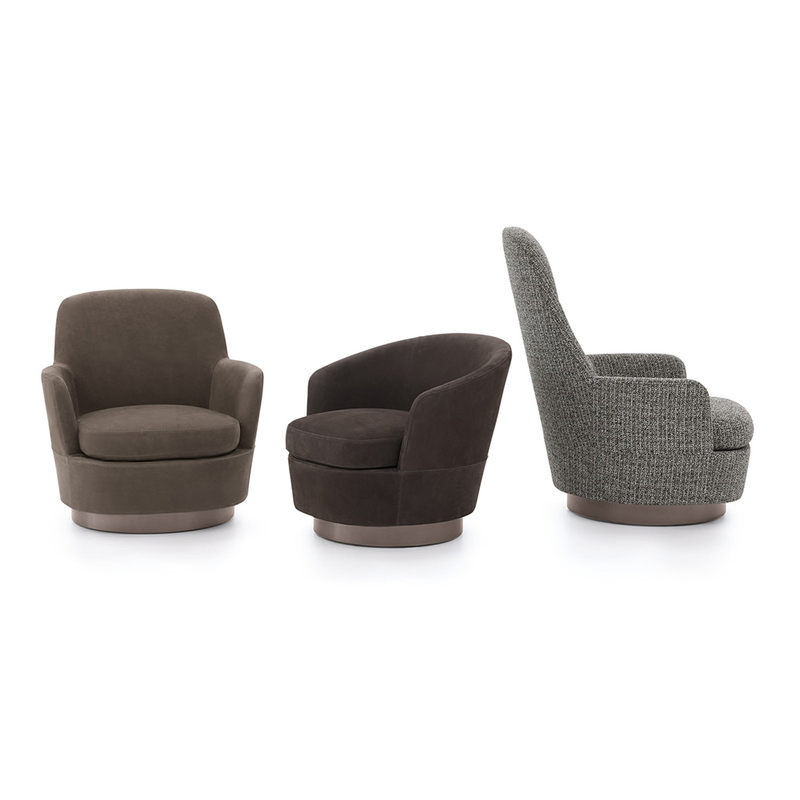 The sophisticated elegance and compact proportions inherent in all the Jacques collection seating elements allow them to thrive harmoniously in any setting – from home decor to hospitality – and to be easily paired with the new seating systems. 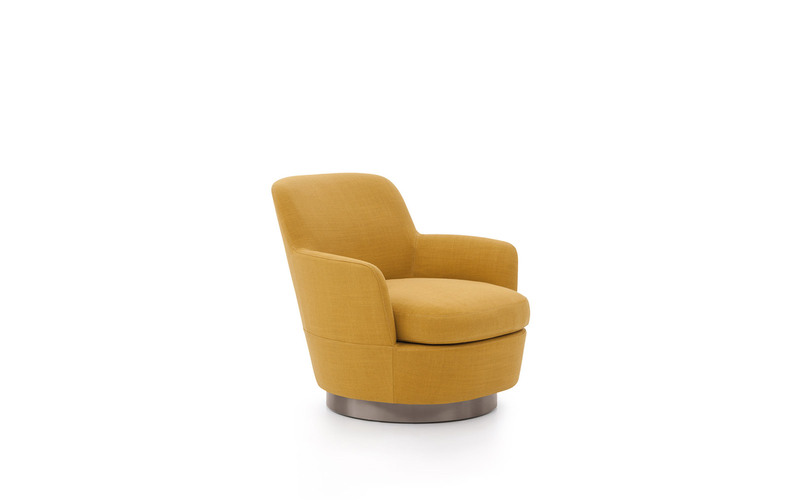 Thanks to its soft seat cushion and backrest padding, the Jacques bergère with swivel base is extremely comfortable and lends itself to the creation of spaces where relaxation is key. 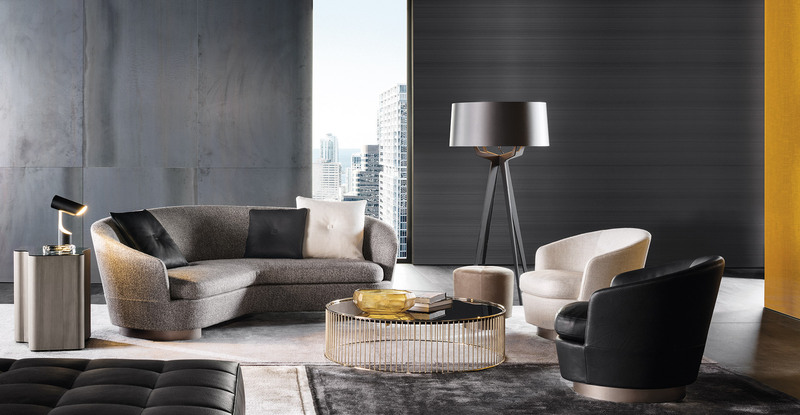 When combined with its ottoman and the Song coffee table that embraces the armchair with its organic shape, it becomes a functional table-top surface for a lamp or to display various kinds of objects. 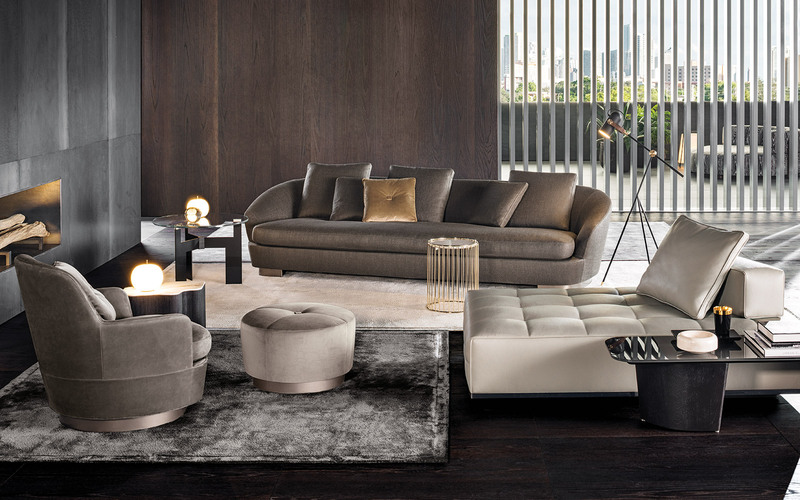 The extensive Jacques family also includes ottomans in various shapes and sizes, all distinguished by an elegant stitched motif and a square decorative button. 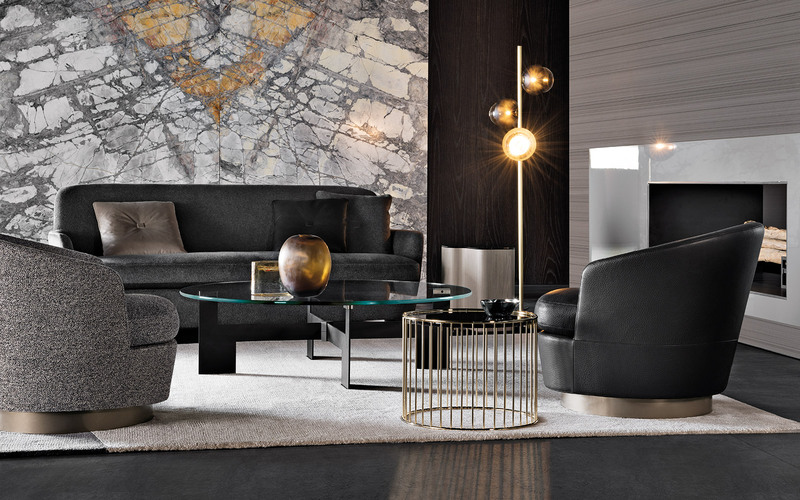 The metal base with Light Bronze finish is a detail that lends refined decorative appeal to each piece in the Jacques collection.